The Serbian was made to work for the win, even if it came in three sets. 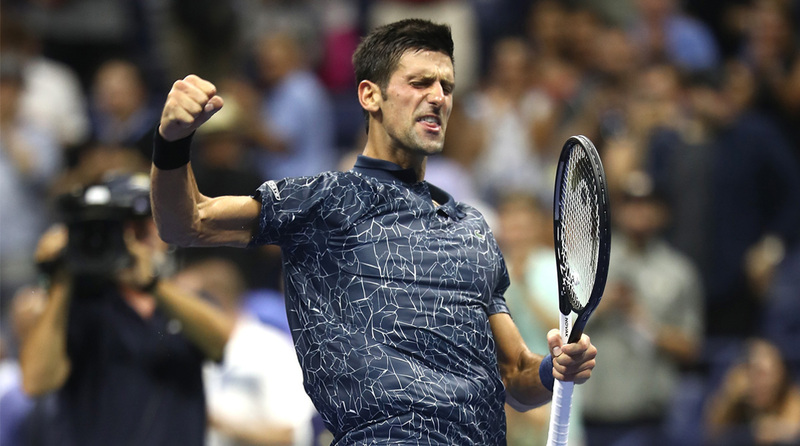 On first glance, Novak Djokovic’s 6-3, 6-4, 6-4 win over the upstart that is Jon Millman in their 2018 US Open on Wednesday night would suggest it was plain sailing for the two-time champion. The tie lasted close to three hours and that tells another story indeed. Of sapping conditions in New York and an battler who refused to quit, even when two sets to love down. Djokovic broke early in the opener, but couldn’t quite get the double break required to move through the gears. Almost every point was hard-fought and the man who had vanquished Roger Federer in the previous round was in a mood to prove the biggest upset of his career was no flash in the pan. The Serb managed to hold on to clinch the first set but the second saw the unseeded Millman hold firm till the ninth game. Djokovic broke at a vital stage and would serve it out for a two sets to love lead. In his professional career, the former World No.1 had lost just one game after winning the first two sets and despite him not being in top gear, another upset looked unlikely at that stage. Sure enough, Djokovic– arguably the best hardcourt player of his generation– broke early and consolidated his lead but Millman showed great tenacity to break his opponent for the first time to actually take the lead. Djokovic’s counter-attacking play is second to none, but here the Serb was just playing percentage tennis and doing his best not to gift his underhanded adversary any cheap points. And as the third set progressed, the Serbian managed to get a break back and this time he didn’t give the Australian any chance to claw his way back. His win marked the 10th straight occasion he’s made the last-four at Flushing Meadows (the Serb missed the 2017 edition due to injury) and up next is Kei Nishikori. The Japanese saw off the challenge of former champion Marin Cilic in a gruelling five-setter and despite playing earlier in the day, will definitely not be the fresher of the two when they slug it out on Friday. Juan Martin del Potro takes on World No.1 Rafael Nadal in the other semi-final and while anything can still happen, fans are hoping for a Nadal-Djokovic final come Sunday.